I understand Section 2 to mean “ABC PUBLISHING” would have right of first and last refusal. Is it possible to tweak the language in Section 2 to right of first refusal only and also that it only apply to LDS themed works? The managing editor emailed back to say she’d forwarded my email to the COO since he’s is the one authorized to answer all questions about contracts. That was on March 17. I haven’t heard anything since then. Would it be okay for me to send an email asking for an update? Who should I send the email to? I don’t have the COO’s email. Good for you for not simply accepting that right of first and last refusal (ROFLR)! IMHO, a right of first refusal clause is okay, if it’s limited by time or genre. But first and last? I’d never agree to that. If you want to read my previous posts on ROFLR, go here and here and here. I am sure they get that question frequently and it should be a simple answer—either yes or no. Maybe they’re trying to decide how badly they want your book? Regardless, it’s been over a month and they should have responded by now. Contact the managing editor and ask if a decision has been made yet. Although ROFLR is no laughing matter, I can't help but think of the acronym ROTFL. I'm deathly afraid of ROFLR, but I'm smiling. 2. The right of first refusal is limited to works of the same genre as the initial work accepted by the publisher. 3. The right of first refusal is limited to three published works. 4. The right of first refusal is limited to a five year period from the time of publication of the initial work. 5. 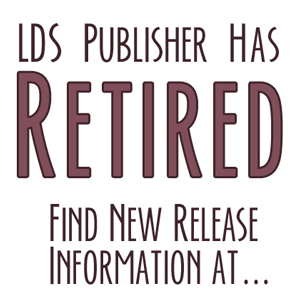 The right of first refusal is limited to LDS-themed works. If you don't get some specific language you MAY REGRET IT FOR A VERY LONG TIME. I thought the same thing about the acronym as Jordan. No laughing matter, though. I hope you can get it worked out! So much to consider especially with newbie writers. I've been around the writing acronyms for a while and whenever I see ROFLR I immediately think Rolling on the Floor Laughing, too. =) Maybe I've been hanging around teens too much . . . or maybe it's Twitter. Ack! On a more serious note, some publishers are willing to tweak this clause so it's agreeable to both the author and publisher. Definitely email your editor back and ask for an update on the contract process. Good luck! I JUST went through this SAME thing. I forget how we changed the wording, but I heard back right away. I'd do an email check-in.